I started out in the Hell Creek Formation in Garfield County, near Jordan, as part of the ROM’s new Hell Creek Project. 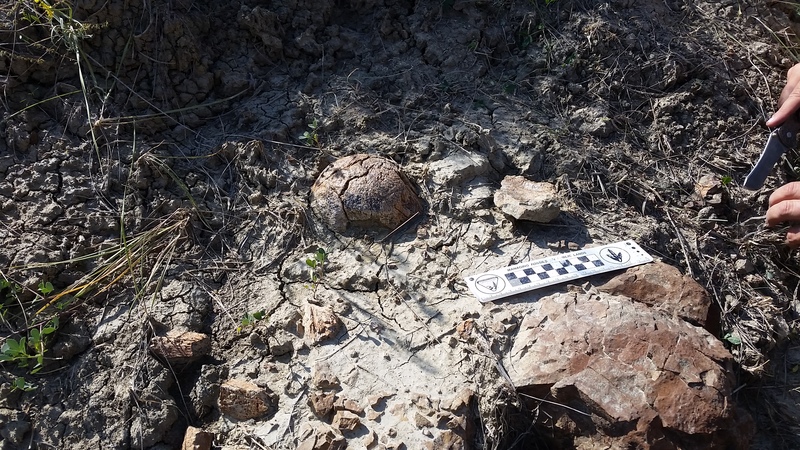 Danielle Dufault found this Triceratops occipital condyle at the 11th hour on her last day in the field, shortly before I arrived – what a find! We exposed just enough to see how the rest of the skull might be preserved for a major excavation next summer (Triceratops skulls are big! ), then put a winter jacket on it to protect it in the meantime. 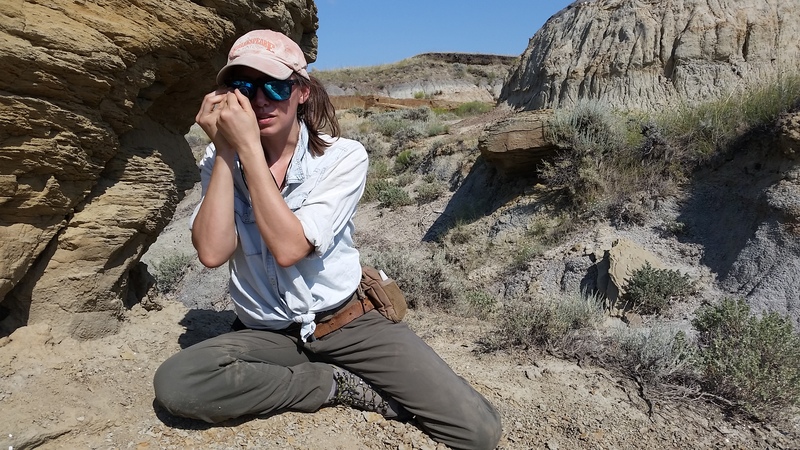 Elsewhere in the Hell Creek, Wendy Sloboda found an eggshell site, much to Jade Simon’s delight. 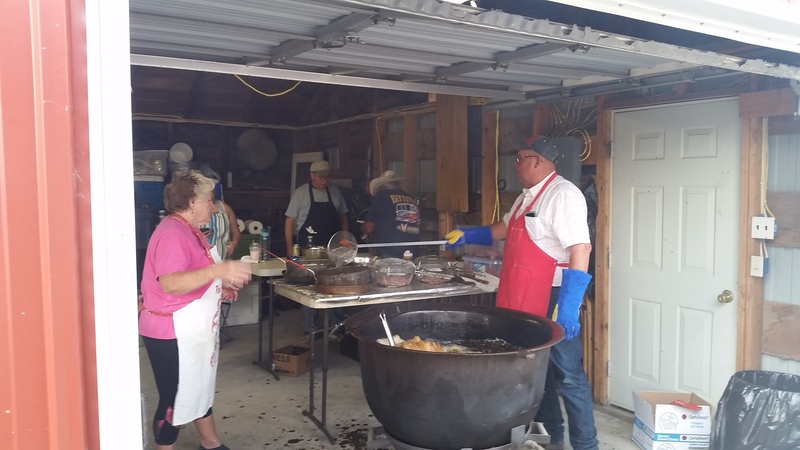 From Jordan it was on to Ekalaka for the Carter County Museum’s Dino Shindig! I was an invited speaker this year, and it was an absolutely amazing event. The first evening got off to a roaring start with a pitchfork fondue (just look at that cauldron!) 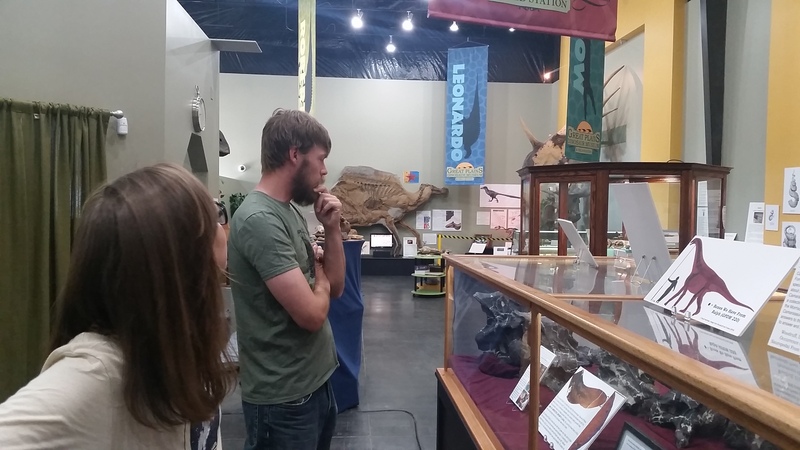 on Friday night, and an opportunity to catch up with other palaeontologists working around Montana, local and not so local ranchers, and a community of dinosaur enthusiasts! Saturday featured a great lineup of palaeontology talks, and family-friendly activities on the museum’s lawn and inside the museum. 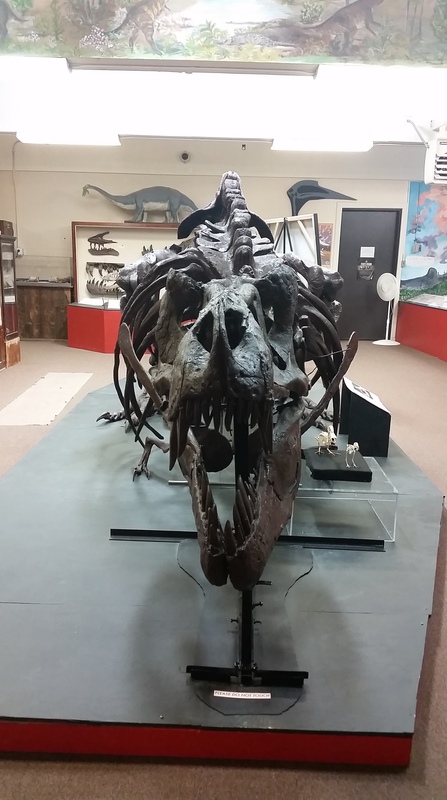 The Carter County Museum is one of the oldest county museums in the western US and has a pretty great collection of dinosaur fossils both behind the scenes and on display. This Edmontosaurus annectens (nee Anatotitan copei) has a fabulous flat head and it’s a really fun mount to photograph from different angles. This Tyrannosaurus cast is mounted in a resting position that also lends itself well to photographs from unique angles. 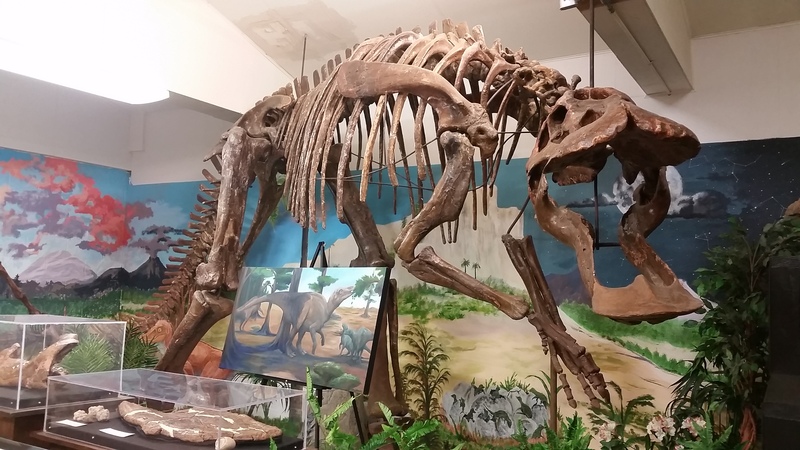 What I love about this one in particular is the way it shows off the rotundness of a T. rex’s belly – they’re not as wide as ankylosaurs, but they’re not necessarily the slab-sided dinosaurs they’re sometimes reconstructed as. 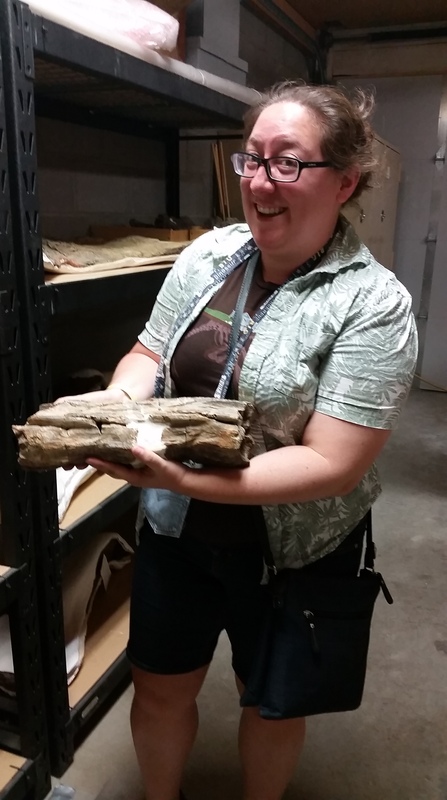 I got a chance to see something really special – one of only two published tail specimens for Ankylosaurus! The other is the tail club on display at the AMNH in New York, and because that one is mounted behind glass, this is the first one I’ve been able to touch and observe closely. I’m holding a chunk of the handle, the unique vertebrae that make up the stiff part of the tail club. 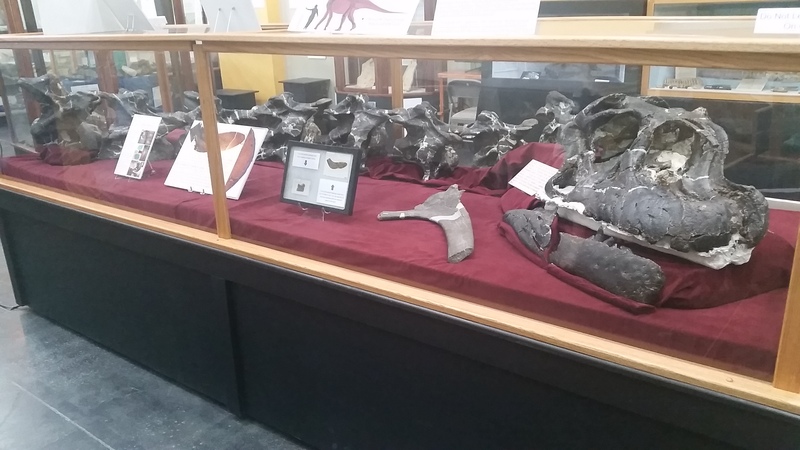 It was a fitting moment for me, since I was giving a talk about Ankylosaurus just a few hours after getting to see this specimen! 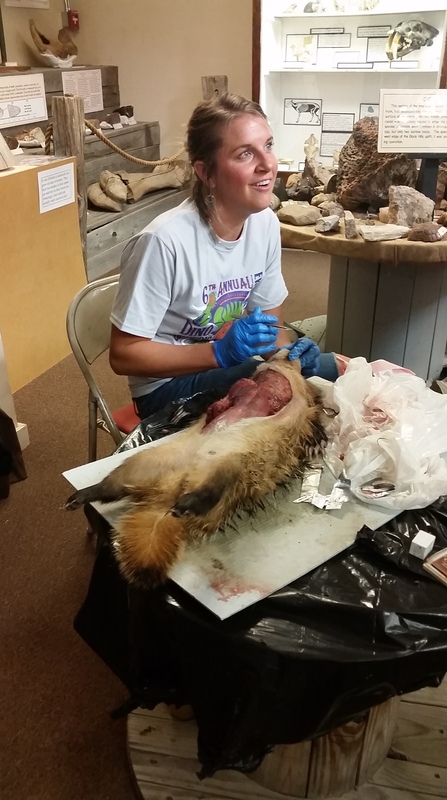 My favourite series of events going on at the museum during the Shindig were the live taxidermy demonstrations happening right out in the exhibits! These garnered a lot of interest from the visitors, and, based on the popularity of the Brain Scoop’s videos of animal dissections, show that people are interested in anatomy and curious about how our bodies are put together and work. We’ve got to find ways to do more of this kind of demonstration in museums! 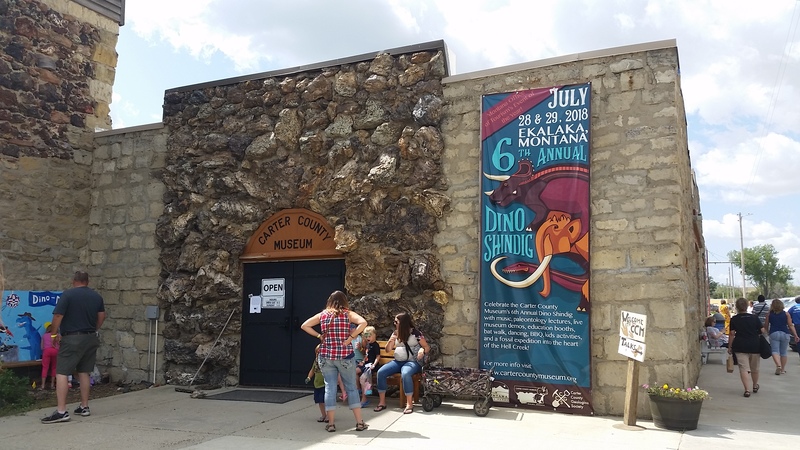 Sadly all Shindigs must come to an end, but that’s ok because our grand tour of the Montana Dinosaur Trail continued with a stopover at the Great Plains Dinosaur Museum in Malta. …this absolutely staggering Camarasaurus skull and neck! 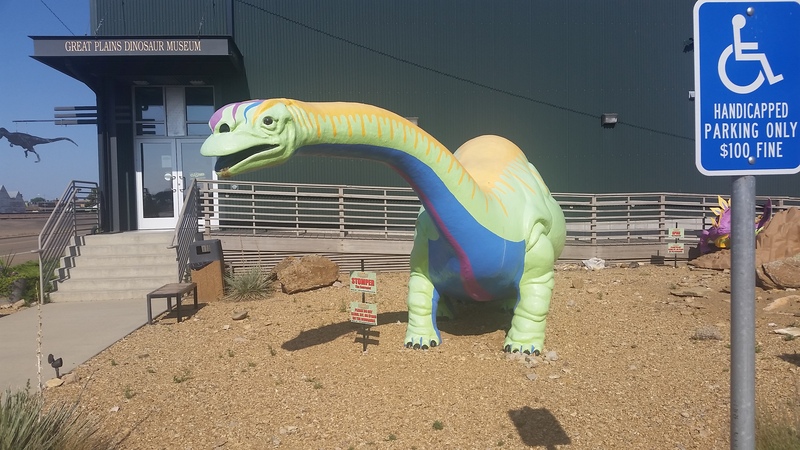 This fellow is also the northernmost occurrence of Camarasaurus known to date. 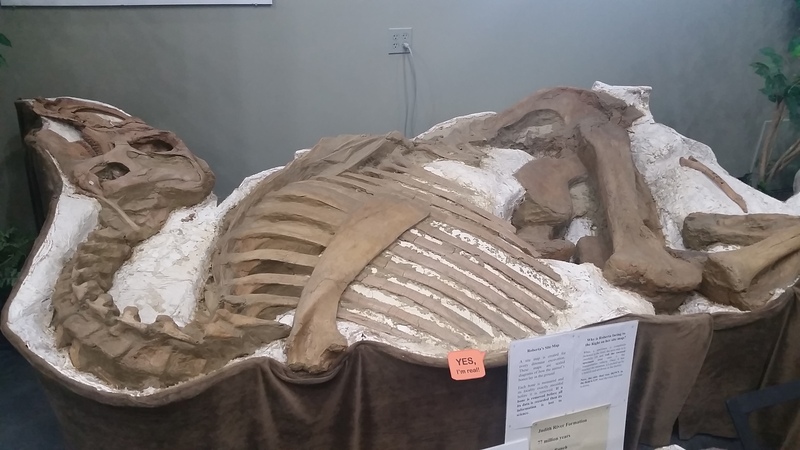 The Great Plains Dinosaur Museum is home to several other beautiful and famous fossils – “Leonardo” the Brachylophosaurus (currently on a long-term exhibition loan to the Children’s Museum of Indianapolis), although a cast can be found here), and “Roberta” the Brachylophosaurus, shown here. Roberta lacks the skin and soft tissues of Leonardo, but is an incredibly complete, mostly articulated skeleton that’s just amazing to see in person. My final field stop of the season was a return visit to the Zuul Quarry just outside of Havre – I’ll never stop being impressed by the size of the excavation at this site! 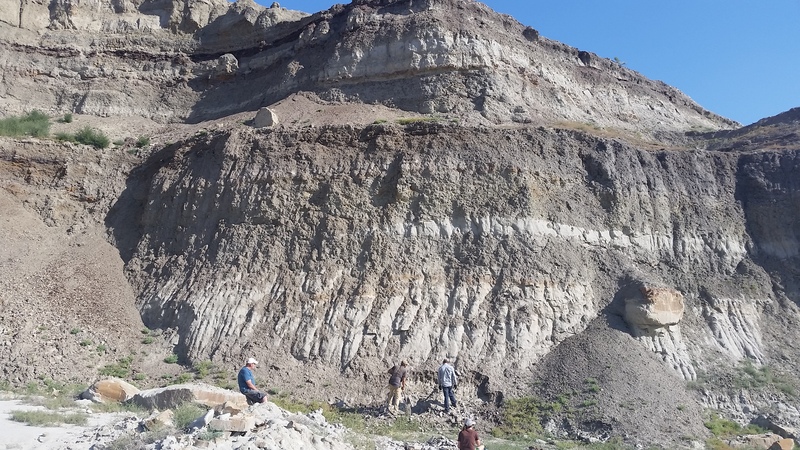 Last year, we spent time documenting the geology of the site and working to interpret the taphonomy of Zuul and the other fossils found in the quarry. 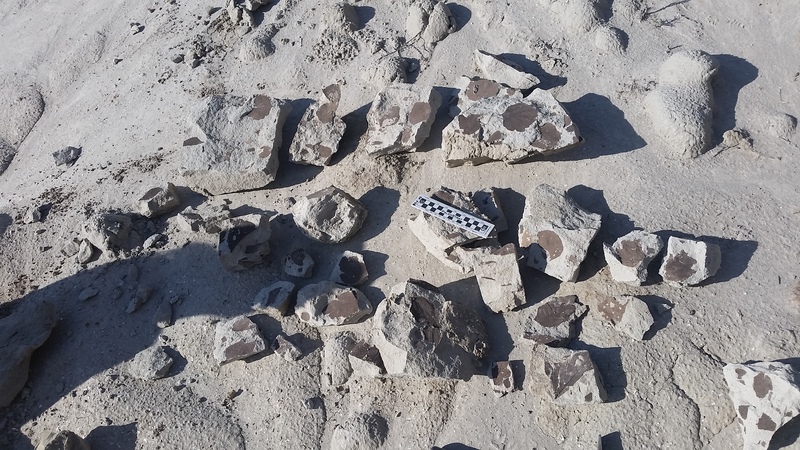 This year, we were here to collect plant fossils! Just a few hours of splitting rocks yielded an abundance of beautiful leaf fossils from many different species, as well as a few seeds and twigs. Some of these may make their way in to the upcoming Zuul exhibit at the ROM, and the rest will help inform our understanding of the flora of Zuul’s ecosystem and interpret the climate of the Judith River Formation. And that’s it for my time at the Royal Ontario Museum and University of Toronto as an NSERC postdoctoral fellow! This week I begin a new chapter in my career, as I start my appointment as the Curator of Paleontology at the Royal BC Museum in Victoria, British Columbia. I hope you’ll all continue to follow along on a new set of adventures with me – stay tuned for more ankylosaurs, but also new research on British Columbia’s rich fossil heritage. Until next time!